High net worth individuals and families encounter unique challenges related to financial planning and asset management. Investment activity can complicate tax planning for the wealthy. High net worth individuals may also own multiple properties or unique and hard-to-value assets. Without careful wealth management and the guidance of an experienced accountant, affluent individuals will likely pay more in taxes than they legally must. Chandler & Knowles, CPA works with high net worth individuals and families to help them legally minimize their taxes and achieve their financial goals. 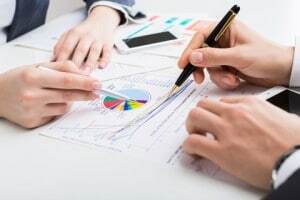 Our experience with advanced tax planning strategies for businesses and executives has uniquely positioned us to assist wealthy individuals. From small business owners to Fortune 500 executives, we provide smart financial planning services to reduce liability and grow wealth. Advanced Tax Planning— Smart tax planning is a year-round endeavor for the wealthy. We can advise you on how to minimize taxes when making investments and successfully diversify your assets between taxable and tax-deferred vehicles. Our CPAs stay up-to-date with the tax code, and we’ll ensure that you stay in compliance with federal and state tax laws. Estate Planning—Our estate planning services can help you meet your long-term financial goals and ensure that your legacy is passed to the next generation. We can review or modify any existing estate planning documents to better protect your financial assets and legally reduce your taxes. Philanthropic and Gift Tax Planning—As part of our private wealth management services, we’ll strategize how to improve the efficiency of your charitable giving. We can also help you determine how to use the annual gift tax exemption to reduce your taxable estate. Family Trusts—Placing assets in an irrevocable trust can help you reduce your estate taxes and protect the money and investments you want to pass to your beneficiary. Chandler & Knowles can advise you on family trusts and modify existing trusts to maximize their benefit. Wealth Management for Retirement—Our exclusive Dynamic Wealth Builder system will help you identify risks and opportunities for your financial future. While it’s impossible to predict the future with 100% certainty, Chandler & Knowles can help you take steps now to ensure that your wealth will continue to grow after you retire, allowing you to enjoy your golden years fully. Rather than focusing on “rearview mirror accounting,” Chandler & Knowles takes a forward-thinking approach. This makes us an ideal CPA firm for high net worth individuals who have worked hard to get where they are and need strategies to protect and grow their wealth. Fill out our online contact form to set up an initial consultation. We look forward to working with you for a bright financial future.